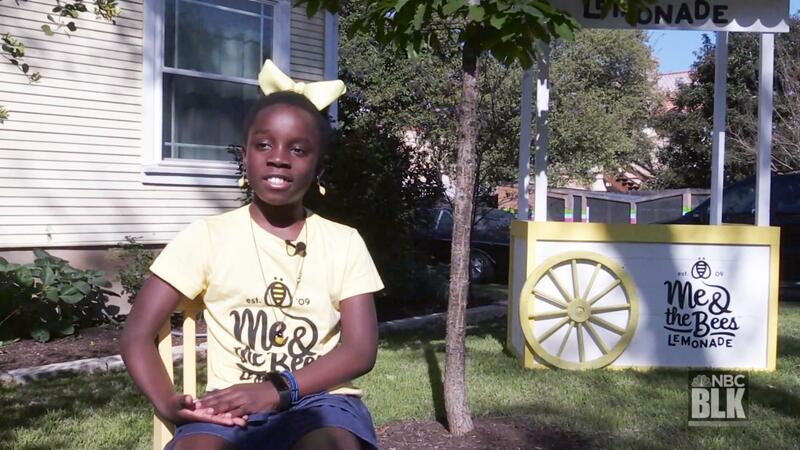 Most 11-year-olds set up lemonade stands on their streets in hopes of getting $1 donations from kind neighbors and walkers. But for Mikaila Ulmer, a couple of bills in a wooden box just wasn't going to cut it. After appearing on ABC's "Shark Tank," Ulmer received $60K for her BeeSweet Lemonade. Now, Ulmer has scored an $11M deal with Whole Foods to sell her lemonade. BeeSweet Lemonade will be sold in 55 stores across Texas, Oklahoma, Arkansas and Louisiana. Her recipe is a combination of mint, flaxseed and honey infused in lemonade. Her great-grandmother passed the recipe down to her. Mikaila, who was once terrified of bees after being stung twice, grew to become "fascinated" with the insects, in her own words. And that's precisely why she gives a portion of all of her products to bee rescue foundations. Mikaila has served her lemonade to President Obama and has also won several awards and honors for food and entrepreneurship. Dominating the entrepreneurial world while donating to a cause important to her at the same time, all while only 11 years old?